Most of us at some time in our lives feel that we have been wronged by others in some way. It may be as a result of malicious gossip or maybe a violent act or even worse. How do we react in such situations? Do we lash out at the offender, are we eaten up with the desire for revenge? 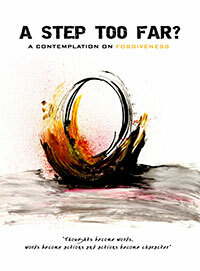 “A Step Too Far?” investigates an alternative to revenge – the idea of forgiveness. From Northern Ireland to Lancaster County, Pennsylvania, ordinary people share their real life stories and how they have come to view forgiveness. Leading academics also make a significant contribution to the film.